Graeme is a wedding DJ and ceilidh caller who will be at your wedding to make it work. Playing your music, for you. – What do you cost? – Can we have a DJ? – Do we have to have ceilidh? – Do you ever work with Saxophonists? – Can we choose some of the music? – Where is the best venue? The answer is – You can have whatever you want! Read through and you’ll see the answers are here or get in touch and we can have an old-fashioned chat! You can also pop some details in to enquire about prices and availability and we’ll get straight back to you. Graeme Barrie has been performing at weddings all across Scotland since 1992, forming Graeme Barrie Wedding Entertainment some years later. We specialise in providing premier wedding entertainment. 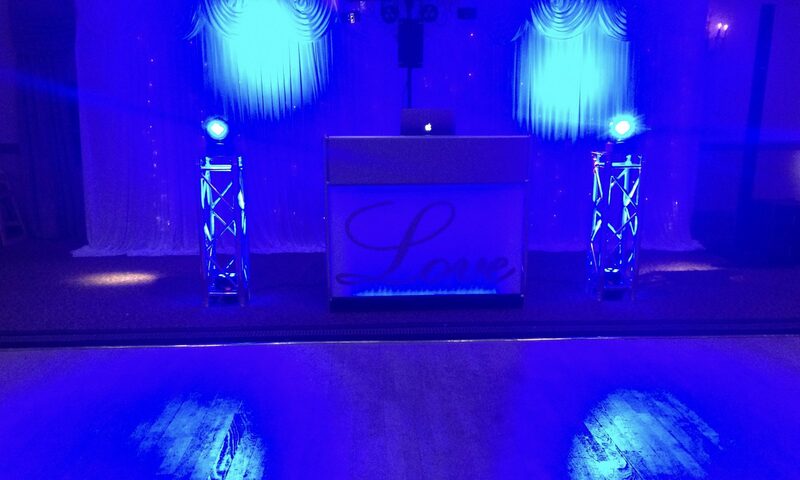 Having the right band, caller, compere and mobile disk jockey have helped make some really special days. With some of the top hotels and venues suggesting their clients book with Graeme Barrie for their entertainment it would be a good idea to book up for your date before someone else does! Renowned for being a well established Wedding DJ, a caller with Ceilidh Bands and most often working with Scotland’s finest bands to provide our, now widely copied Ceilidh and Disco mixes. With these, you offer your guests have the best entertainment you can give them, we make it happen. Browse our website for more information. If you have any questions or would like to speak with us regarding our services, please don’t hesitate to e-mail or call.